A youth-booster for ageing hair, Age Restore Conditioning Spray is packed with protective and stren.. Restore and revive mature hair and help fine, vulnerable hair resist the effects of time with speci..
A youth-booster for ageing hair, Age Treatment is packed with protective and strengthening antioxid..
Shampoo for sensitive scalpFragrance free shampooSoothe, calm and refresh the scalp leaving it refr.. 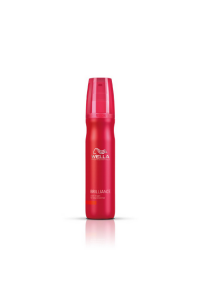 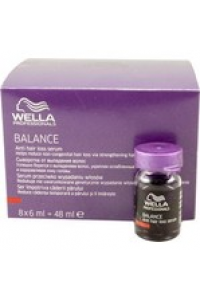 Treatment for sensitive scalpsHelps stengthen hairFragrance freeSoothe, calm and refresh the scalp ..
Wella Professionals Brilliance Shampoo includes active ingredients to help protect hair from colour .. 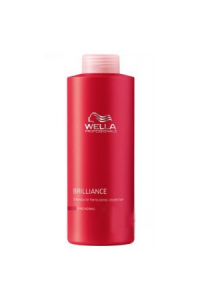 The Wella Professionals Brilliance Color Protection Serum includes actives to help protect colour fr..
Rich leave in conditioning cream gelHelps restore damaged, coloured hairWith diamond dustApply to d.. 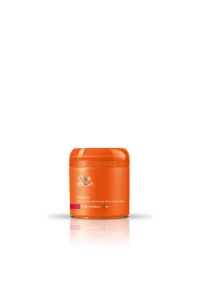 Treatment for coloured with coarse as well as fine to normal texture. Actives to help protect colour..
Brilliance Conditioner includes actives to help protect colour from fading as well as enhancing its ..
Brilliance Leave-in Balm includes actives to help protect colour from fading as well as enhancing it..
Brilliance Leave-in Mousse for coloured hair includes actives to help protect colour from fading as ..
Brilliance Treatment for fine to normal coloured hair includes actives to help protect colour from f..
For wavy, curly hair, Wella Enrich Bouncy Foam tackles split ends while boosting hair's shine,..
Repair and protect dry and damaged hair to leave it full of with vitality. 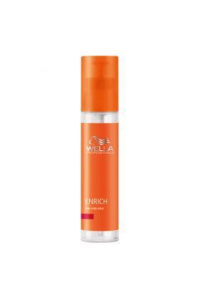 Enrich Moisturising Shamp..
Repair and protect dry and damaged hair to leave it full of with vitalityBenefits & FeaturesGent..
Wella Enrich Moisturizing Conditioner tackles split ends while boosting hair's shine, smoothnes..
Wella Enrich Moisturizing Shampoo tackles split ends while boosting hair's shine, smoothness an..
Wella Enrich Moisturizing Treatment tackles split ends while boosting hair's shine, smoothness .. Helps strengthen weakened hairLight balm penetrates hair structure nourishing weakened hairHelps pro..
Wella Professionals Enrich Repair Serum penetrates into the hair structure and helps to instantly re..
Wella Enrich Self Warming Treatment tackles split ends while boosting hair's shine, smoothness ..
Repair and protect dry and damaged hair to leave it full of with vitality. Task-specific productsEn..
Refreshes hair and scalpCools the scalpSoothe, calm and refresh the scalp leaving it refreshed, pu..
Shampoo for vulnerable hair Strengthens and protects the weakened surface of the hairLeaves hair irr..
Texturizing sprayHold level 3Enhance texture of curly hairSpray to dampen hair, then manipulate cur..
Beach texture sprayHold level 2Spray into dry hair near roots - scrunch, shape or blow dry..
Styling gelHold level 3To lift, texturise or tousle hairLeaves hair with a pearl shine finishWork i..
Matte molding creamHold level 3For edgy definition and holdApply to dry hair..
Flubber gelHold level 4Sculpt and shape with acrylic shine and strong holdWork into dry or wet hair.. 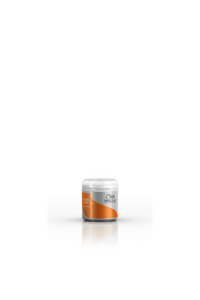 Define or dishevel your style with Shape Shift Molding Gum. 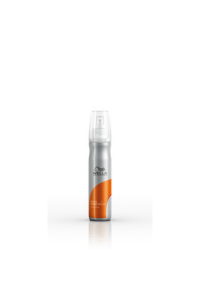 With a hold level of 2, use a generous..
With a light hold level of 1, Smooth Brilliance Shine Pomade will add that finishing touch to your ..
Texture Touch is a strong defining clay used on dry hair allows you to play with your style and resh..
Heat protection sprayHold level 2Shield and protect hair from heatSpray into hair, section by secti..
With a hold level of 2 this wet to dry finishing spray allows you to move, create and manipulate th.. Shine serumNatural controlTames frizzGlossy finish.. 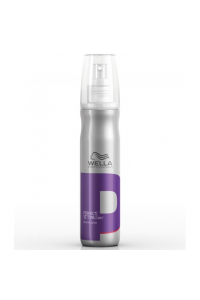 Shine sprayFor natural lustre and shineSpray onto dry hair..
With a hold level of 3, Wella Stay Styled Finishing Spray will energise your look with a controlled..
Super Set Finishing Spray has an ultra-strong hold level of 4, if you want to control your masterpi.. Commanding control for curl creation with a velvet texture. 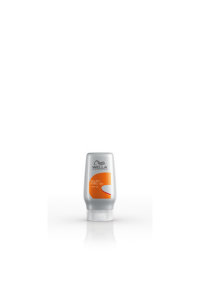 This distinctive foaming wax helps crea.. Need Volume? Wella Extra Volume Styling Mousse has a medium hold level of 3. When distributed evenly.. 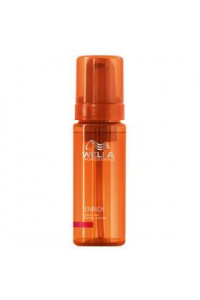 HOLD LEVEL 2This light setting lotion perfectly emphasizes the roots of your hair with volume suppor..
With a firm hold level of 4, Shape Control styling mousse will give you the firm control you’..
Color protection lotionPreserve coloured hairWith light holdApply to 3 to 5 pumps on damp hair..
Wella Velvet Amplifier style primer is the perfect foundation to create a beautiful style. 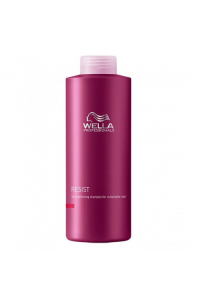 With a ho..